Wrongful Death Medical Malpractice Trial Lawyers | Hurt by a Doctor. The effects of wrongful death from medical malpractice and surgical malpractice are devastating to a family. We can help. Now is the time to act. Medical malpractice and surgical malpractice are the leading cause of wrongful death in the United States. It has been reported that medical malpractice results in over 225,000 avoidable deaths per year in America. Wrongful death in a medical malpractice or surgical malpractice case occurs when death is caused as a result of the failure of a doctor, surgeon, or other medical care provider to meet the accepted standard of care within their field. Legal responsibility for wrongful death in a medical malpractice case may rest on an individual medical care provider, his or her practice, a hospital, or other legal entity to which the negligent act or failure to act can be attributed. The economic and emotional effects of wrongful death on a family can be devastating. The loss of the companionship and emotional support of a loved one is hard enough without the additional economic hardship that may result from of loss of income to a family combined with hospital and doctor bills and burial expenses. If you believe a loved one has been the victim of wrongful death as a result of medical malpractice, act now. Contact us today. At Hurtbyadoctor.com, we are committed to empowering the families of victims of wrongful death. 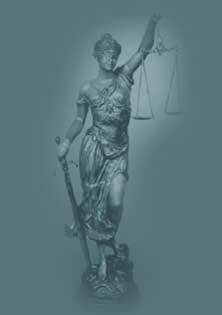 We provide zealous legal representation and compassionate support. We have collected millions of dollars for the families of the victims of wrongful death in the past and are dedicated to continuing our success in the future. Together, we can make life better and safer for everyone. Of course, p ast results afford no guarantee of future results. Every medical malpractice and surgical malpractice case is different and must be judged on its own merits. Click Here to tell us about your medical malpractice or surgical malpractice case.